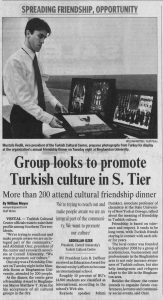 Turkish Cultural Center (TCC) Binghamton and Binghamton Dialogue Association held their 3rd Annual Friendship Dinner at Binghamton University on December 1st 2009. Binghamton City Mayor Matthew Ryan, Binghamton University President Lois DeFleur, District Attorney Gerald F. Mollen, District Representative of Congressman Hinchey Dan Lamb, and Binghamton University Ombudsman Donald Blake were among other distinguished guests. 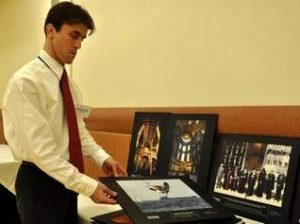 Program had started with the “Turkey in Pictures” exhibit. Following the welcome speech by the President of TCC Binghamton Abdullah Ozer, President of TCC Syracuse Fehmi Damkaci delivered keynote speech about friendship. In his speech, Mr.Damkaci elaborated on the general philosophy of TCC and the activities of TCC Syracuse for promoting friendship between people of different cultures. 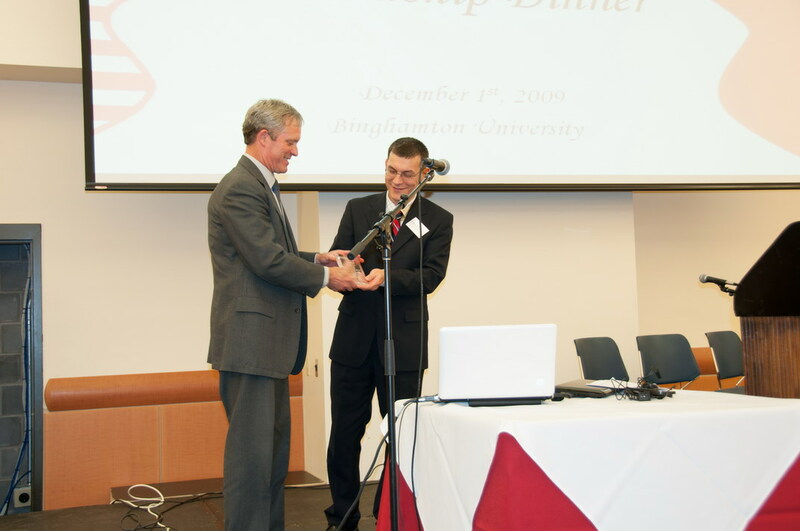 TCC Binghamton presented awards for the first time this year. Binghamton City Mayor Matthew Ryan received the Friendship Award for his contribution in promoting different cultures in the city. BU President DeFleur was presented the Education Award for her efforts in establishing an internationally diverse campus community. One of the most attractive and enjoyed part of the program was a presentation titled “Impressions from Turkey Trip” by Dan and Peggy Zimmerman. Program has ended with delightful live Turkish Sufi Music performed by Turkish Music Group.